Everything Dizney: It's "Christmas" "Time" Again! 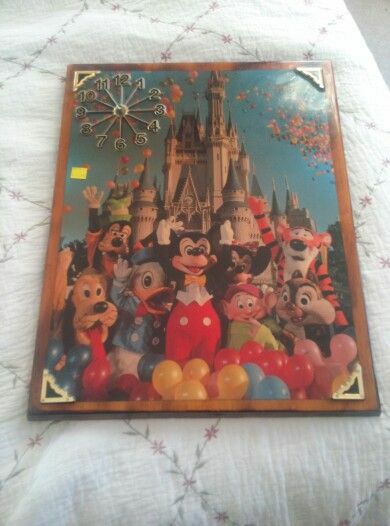 I did come across a few Disney items, such as a Birthday Vase container with Mickey on it. It was porcelain but the paint was off, so I skipped it. The 2nd thing I passed up was a Pooh bear honey jar. It was missing the stick thingy. 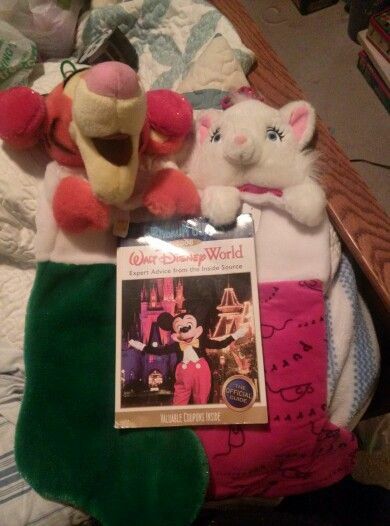 So I decided to check out the Christmas section by the window and practically walked by 2 Disney items that I did end up getting for $0.99 each. I was very surprised they were only $0.99 cents. I also got the 2008 Burnham Guide for $0.99 and using it for my Smash book. It just needs a new clock mechanism. The wood itself is in okay condition. It does have some scratches that were noticeable in the store but once I got it home and cleaned it, it didn't look too noticeable. Yey. So I think I will be going to either Michael's or AC Moore to get the clock mechanism, because Joann's store didn't have the size I needed.